Anlin Malibu Doors can be ordered in the sophisticated look as a custom-made vinyl swing door. 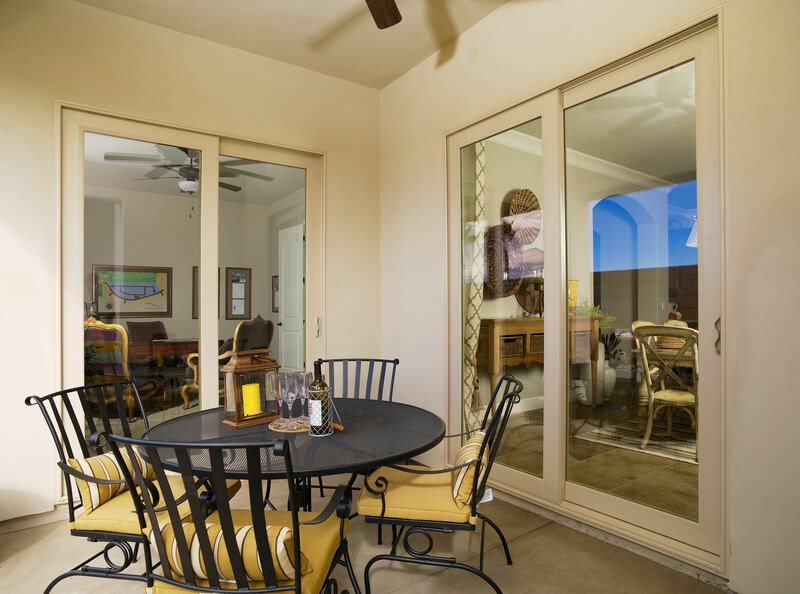 Swinging doors can be ordered as an in-swing, or out-swing door, and can be paired with stationary or operable sidelite. 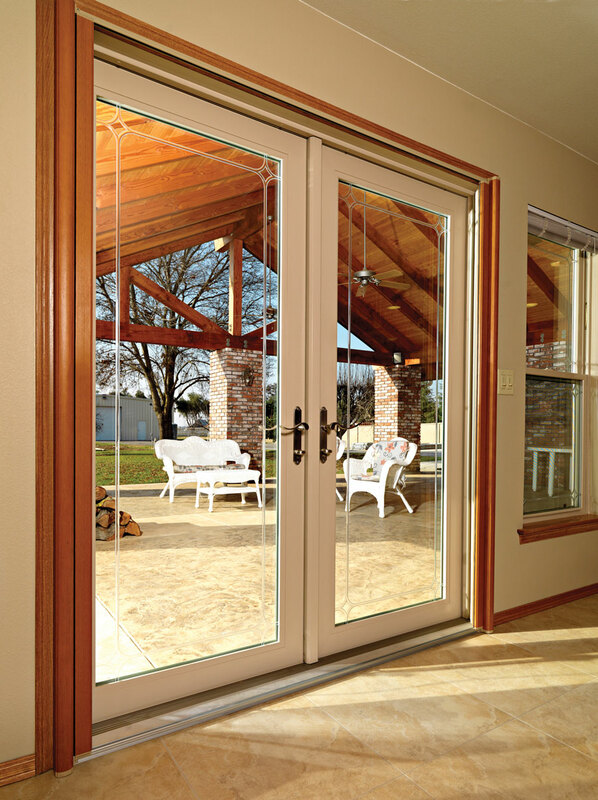 We can design your swinging vinyl french door in any configuration you like, and create a stunning connection between the inside and outside of your home. Available in a wide range of configurations, not just from in-swing/out-swing, but as one panel, two panels, with fixed or operable sidelite. Anlin one of the few French door manufacturers that can build a door up to 96” tall. Most Wood French doors do not make a wide variety of custom sizes, and many will not make them more than a 72” x 80”, with very few options. We can order as large as 120” (10 feet!) by 96” door french door with opening sidelites. Anlin has recently added the in-glass pet door option to the Malibu Swing door to allow your pet in and out. Malibu Swing Doors have an amazing high-security three-point locking system with a key lock standard. 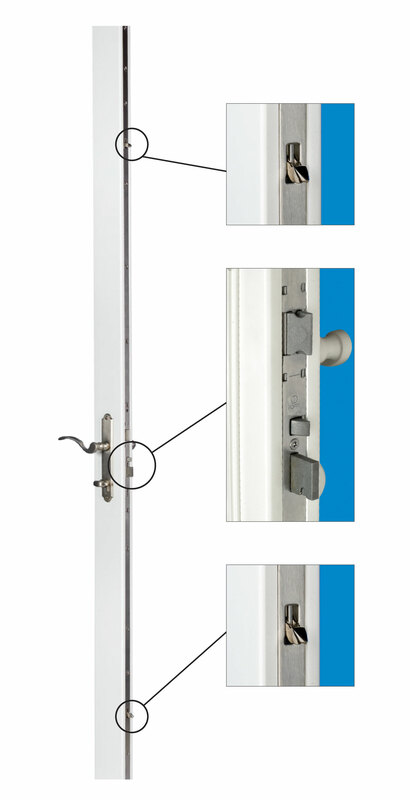 The lock activates three solid metal posts at the top, middle, and bottom of the door, while a simple deadbolt on the main operable panels adds another layer of security. From traditional to contemporary, we can order you beautiful metal finishes from satin nickel to bronze. Even the hinges are color matched to the handle color, which provides a nice contrast against the white vinyl panels. 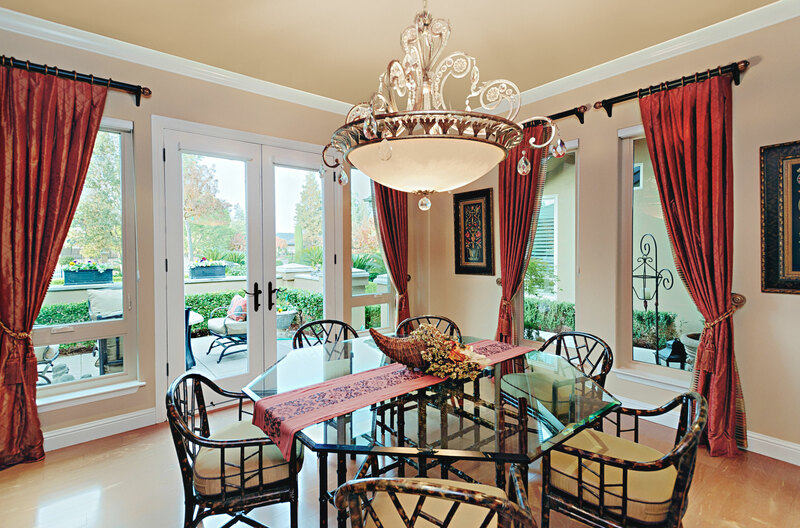 The great design, materials, and craftsmanship of the Malibu Swing Door allow them to offer the same True Double Lifetime warranty they offer on their premium replacement windows. All of their doors are “squared” on a rack before they leave the factory ensuring they will “hinge” and lock correctly. This is an additional step most manufacturers do not offer, yet it is very important to get proper operation after installation. The doors hinges even have multiple adjustments if your home ever settles, so you can always have a door that will lock. Should your new door require a warranty repair, Anlin service techs are available and will make them free of charge for as long as you live in your home. They cover items others refuse to cover such as screens, accidental glass breakage, exterior vinyl colors, and labor.